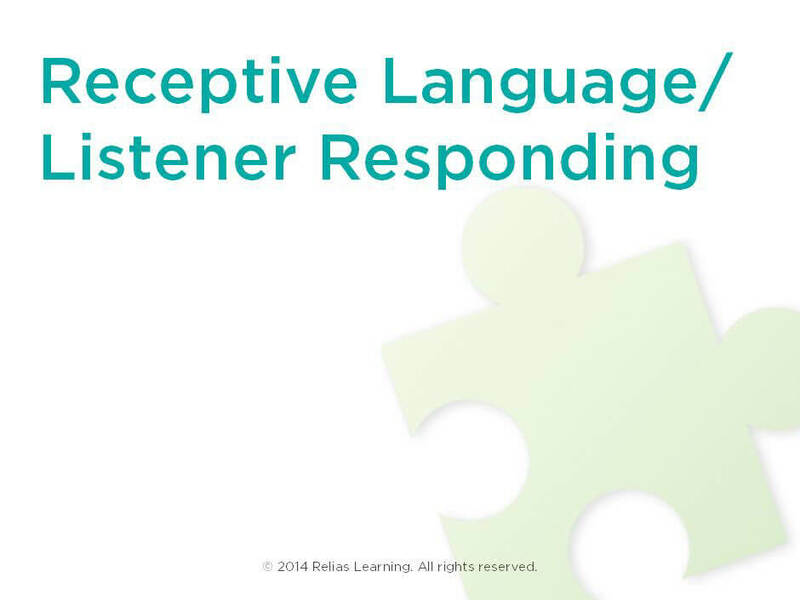 Define receptive language / listener responding. Describe how to teach receptive language. Demonstrate how to teach receptive identification of common objects and body parts. Explain how to increase complexity of receptive language skills. Define and provide examples of LRFFCs. Provide examples of SDs for LRFFCs.